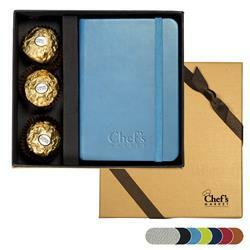 The Ferrero Rocher Chocolates and Junior Tuscany Journal Gift Set consists of a 3-pack of Ferrero Rocher® Hazelnut Chocolates and the Tuscan Journal. The custom journal features a soft faux leather cover, 80 ruled pages, elastic loop closure, bookmark, and a handy document pocket on inside back cover. 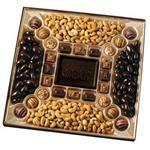 This makes for a great holliday or conference gift. 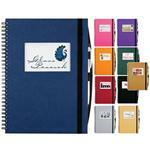 Customize the great journal gift set with your promotional logo for a gift they can't forget. FREE RUSH AVAILABLE! 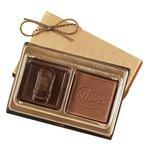 3-pack of Ferrero Rocher® Hazelnut Chocolate, 80 ruled pages.